DAVID LE/Staff photo. 2/25/15. 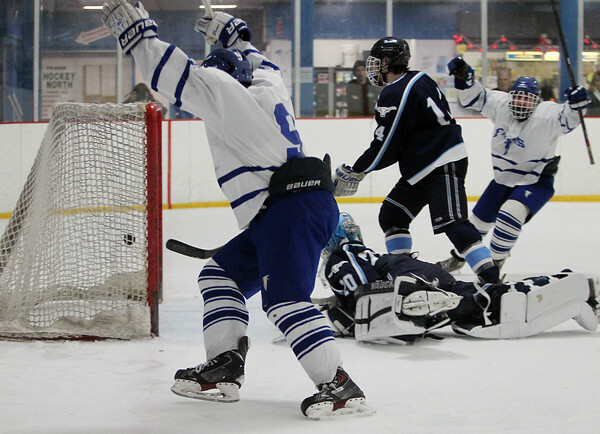 Danvers freshman forward Conor Purtell (9) celebrates his game-tying-goal against Peabody in the third period of play.